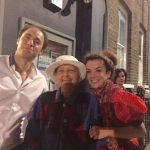 Nearest tube: Southwark or Waterloo tube stations – Opposite the Young Vic Theatre – Disabled access. Shabibi Shah Nala worked as a teacher for 12 years in Afghanistan. Her well-received autobiography Where do I Belong (2008) describes her dangerous escape from Afghanistan in 1983 and attempt to settle in England. Her first novel is Innocent Deception (2014). By telling the double and triple stories in Afghanistan, in Pakistan and in the UK, Shabibi Shah with her power of acute observation uniquely increases our insight into concealed identities. She is a published poet in her first language Dari. Yvonne Green’s mother’s family came to Boukhara in Central Asia 2,700 years ago to buy the silks for Solomon’s Temple. 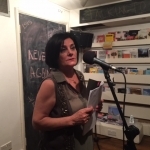 A prize-winning poet, journalist and essayist, Yvonne has read her poems on BBC Radio 4. Her published poetry collections are: “Honoured” (Smith/Doorstop),”Selected Poems And Translations” (Smith/Doorstop 2015), “Hanisoo yi” (Am Oved 2014), “After Semyon Izrailevich Lipkin” (Smith/Doorstop 2011) Poetry Book Society award winner, “The Assay” (Smith/Doorstop 2010) Lord Gavron and Celia Atkin translation award winner and”Boukhara” (Smith/Doorstop 2009) A Poetry Business Book And Pamphlet Prizewinner. May Al-Issa is a poet, writer and translator from Iraq. Her Arabic writings appeared in prominent magazines and journals such as “Sayyidaty,” Asharq Alawsat” and “Alquds” besides other online literature magazines such as Ink, Sweat & Tears; the English poetry magazine; Oud Alnad and Algardenia.“Warm Whispers;” 2000, her first Arabic poetry collection was successfully sold in the Arab World.“and.. She Whispered;” 2014. was her second collection. She has published her translation of David Hare’s “Via Dolorosa” in Oud Alnad magazine. Abbas Faiz is a poet, translator and human rights expert. He writes poems in both Persian and English and his poems have been published online and in print. He has also read them to audiences in the UK and abroad. In addition, he has translated into English poems from the 13th Century Persian poet, Rumi, and from the 14th Century Persian poet, Hafez. He has produced these translations in a series of literary events at the National Portrait Gallery and other venues. His co-translation, with Martin Turner, of صدای پای آب – Water’s Footfalls – by the contemporary Persian poet, Sohrab Sepehri, was published by Cambridge University Press and received a prize for best poetry in translation. Aviva Dautch is Poet in Residence at The Jewish Museum. She teaches English Literature and Creative Writing at the British Library and Royal Holloway, University of London where she is completing a PhD in contemporary poetics. Her poems are published widely in magazines including Ambit, Modern Poetry in Translation, The North, The Rialto and Poetry Review. Joanne Limburg has published two full collections – Femenismo and Paraphernalia – with Bloodaxe Books, and a pamphlet, The Oxygen Man with Fives Leaves Press. She has also published a prose memoir, The Woman Who Thought Too Much and a book of poems for children, called Bookside Down. Her most recent book is the novel, A Want of Kindness, which was brought out by Atlantic Books this summer. She lives in Cambridge with her husband and son. Jude Rosen is an urban researcher, translator and poet. Her poetry pamphlet A Small Gateway (Hearing Eye, 2009) is written from the perspective of a second generation immigrant from the Jewish East End. Atef’s presence is thanks to The Delfina Foundation and the Bloomsbury Qatar Foundation. The writer’s summer sojourn in England is drawing to an end. The evening will provide a special opportunity to explore the intersection of memory and imaginings amid the precariousness of existence. To celebrate the publication of The Book of Gaza (2014) and The Drone Eats with Me(2015) Atef Abu Saif will read and discuss his literary work with Dr Jennifer Langer, founding director of Exiled Writers Ink, editor and poet. 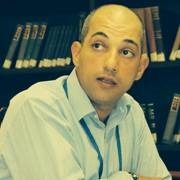 Atef Abu Saif was born in Jabalia refugee camp in the Gaza Strip in 1973. He holds a Bachelor’s degree from the University of Birzeit and a Master’s degree from the University of Bradford. He received a PhD in Political and Social Science from the European University Institute in Florence. He is the author of five novels: Shadows in the Memory (2007), The Tale of the Harvest Night (1999),Snowball (2000), The Salty Grape of Paradise (2003, 2006) and A Suspended Life (2014), which was shortlisted for the 2015 International Prize for Arab Fiction (IPAF). He has also published two collections of short stories – Everything is Normal (2004) andStill Life: Stories from Gaza Time (2013) – as well as several books on politics. He is a regular contributor to a number of Palestinian and Arabic newspapers and journals. 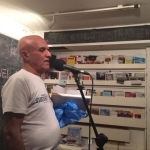 In 2014 Atef edited The Book of Gaza, as part of Comma’s ‘City in Short Fiction’ series, which featured ten short stories by ten contemporary authors from the Strip. In 2015 he published The Drone Eats with Me (Comma Press, with a foreword by Noam Chomsky), a diary of Israel’s war 2014 war on Gaza, which has just been shortlisted for the 2015 MEMO Palestine Book Awards. London based Tanzanian writer and musician, Freddy Macha (pronounced “Matcha”) has been active in the East African press since 1976 and was named among best 25 writers in Tanzania by Jamii Forums in 2012. Multi-lingual but writing mainly in Swahili and English, Macha has won prizes including BBC Poetry in 1981 and a 1996 Commonwealth short story award. He is finishing a third collection of Swahili stories and a third Album of music, poetry and prose. In Zimbabwe Bart was an independent writer and theatre practitioner responsible for running workshops throughout southern Africa until he left in 2003. He brought a team of actors to London and Edinburgh to perform six of his plays in 1997. His work has been recognised widely with awards and reviewed positively in many international publications. His plays, novels and poetry reflect his passion for giving voice to the voiceless, to minorities and dispossessed individuals. A chapbook essay on exile and alienation was published under the title of Flotsam by Exiled Writers Ink. His published works are on Lulu.com and Amazon. He has been interviewed on BBC Radio, by German Radio and an Independent Zimbabwean radio station broadcasting from London to Africa. He won a national poetry award in 2013 and has recorded many audio books. He was a resource provider in workshops with schools in Norfolk and London, ran a series of theatre workshops with refugee children in Croydon and has presented his work with Moot, a community-based organisation. His published playsAfrica Dream Theatre express themes such as loss of innocence, discrimination, intolerance and alienation. 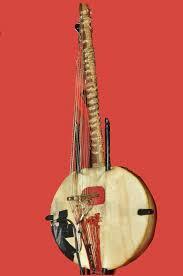 Moussa is a kora musician from Ghana. An aspiring writer from Zimbabwe who has recently found pleasure and freedom of self-expression through poetry. The philosopher Adorno’s wish after Auschwitz was never again genocide. He could not understand the lack of concern about it at the time. Years on and it is still happening. Let’s once again bring it to the fore as the past in fact is so present! When ISIS took over large areas of northern Iraq, many Assyrian refugees were driven into living in terrible conditions in camps vulnerable to flooding and snow. For the poets of the Assyrian community, writing was a way of dealing with the horror of their situation and calling out to the world for help. Cambridge Student PEN organised a 24 hour vigil and reading of the poems from the camps, in solidarity with the Assyrian community. 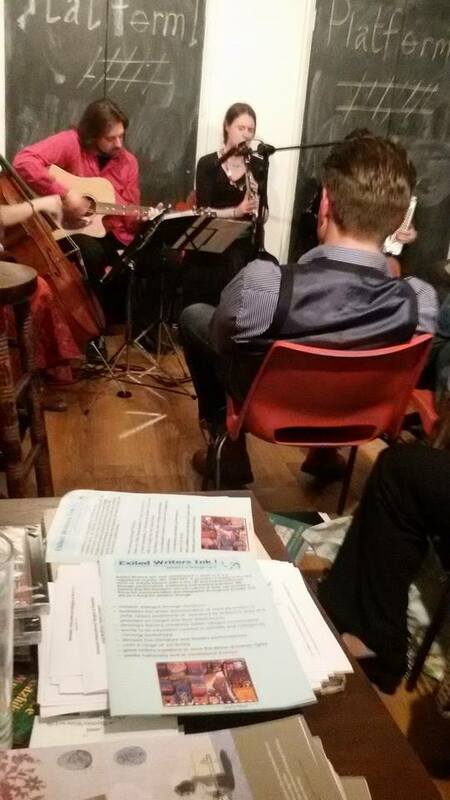 A selection of the poems has now been collected in the Unsheltered Poets: Poems of the Syriac Writers’ Union chapbook to be launched at the Exiled Lit Café night by Nineb Lamassu and by Jamie Osborn of Cambridge Student PEN. 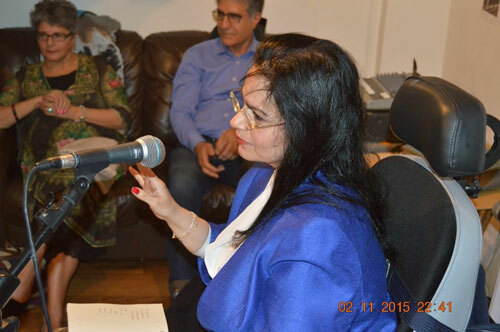 Nineb Lamassu is an internationalist poet who writes in the Modern Assyrian language. He has published anthologies and a chapbook. His last anthology has been translated and published in English and Arabic and some of his poetry has been translated into Farsi. Currently his anthology is being translated into Spanish. His PhD thesis is on the Modern Assyrian national epic of Qaṭine, this is an orally maintained prosimetrum which was first reduced to writing in Tehran, Iran in 1951. He is also employed by the University of Cambridge to document and publish the grammars of the various Modern Assyrian dialects. 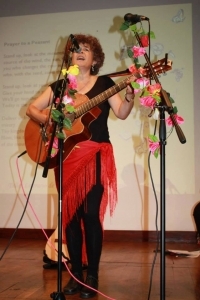 Helen Saint Vincent is an Iranian born Assyrian who specialises in Assyrian folk music. She is a social and feminist activist and a renowned vocalist. Her last CD, ‘Urmie’ was completely written by Hannibal Alkhas, a renowned Iranian painter. Yasin Aziz is from Halabja where Sadam Hussein’s regime gassed the Kurds. Yasin left his country in 1982 and settled in England 1984. He has published articles and poems in English and Kurdish. His published books in English are: Dum Dum Castle (2014) and A Few Days’ Life in the Revolution in Halabja (Amazon, April 2015) about the genocide and social history of the Kurdish revolution. Abol Froushan left the Shah’s Iran to live and study in London in 1975. He has published two selections of his own poetry:A Language Against Language (in English) (Exiled Writers Ink, 2008) and the bilingual volume, I need your desert for my sneeze (in Persian & English) (PoetryPub, 2009). He has also been published in the anthology Silver Throat of the Moon(ed. J. Langer; Five Leaves, 2005) and Exiled Ink magazine, as well as in multimedia web-based publications including www.photoinsight.org.uk and Poetrymag. Alev Adil is a globally renowned poet and performer who has been translated into Albanian, Azeri, Dutch, Greek, French, Lithuanian, Romanian and Turkish; and is widely acknowledged as a leading literary critic. Her collection Venus Infers(2004) was praised as “both a passport and a trip to new and unimagined communities” by Aamer Hussein, “occasionally comic and always intriguing” by Blake Morrisson. Moris Farhi commented that the collection “creates, by counter pointing mythology and the quotidian, an existentialism that is both modern and timeless.” Dr. Adil is Principal Lecturer in Visual Culture and Poetics at the University of Greenwich. Ali Abdolrezaei was born in Iran. He began his professional poetic career in 1986 publishing seven volumes of his work inside Iran before severe censorship made his work inside the country impossible. He was banned from teaching and public speaking, which forced him to go into exile in 2002. After leaving Iran, he briefly lived in Germany followed by two years in France. Author of 22 poetry books and a well known poet, his poems has been translated to many languages. 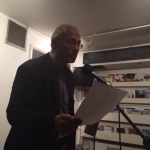 His new collection presents poems written in exile in the UK. Soleiman Adel Guémar was born in 1963 and raised in Algiers. He was heading for an army career when he quit his engineering studies to spend two years in Paris working in publishing. He returned to Algiers in 1991 amid signs of democratisation, in order to work as a journalist, initially on ‘L’Evènement’, and then freelance. During the Black Decade of violence following suspension of the 1991 elections, Guémar reported on corruption and human rights abuses, also publishing short stories and hard-hitting political poetry. In 2002, following threats to his life, he sought political asylum in the UK. He published the poetry collection STATE OF EMERGENCY in 2007, winning an English PEN award. 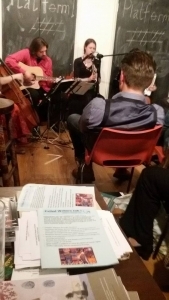 STATE OF EMERGENCY – Todmorden: Arc Publications, Visible Poets series #20. Introduction by Lisa Appignanesi. 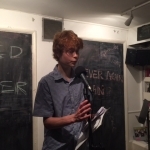 French poems with English translations by Tom Cheesman and John Goodby. 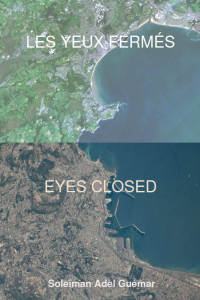 EYES CLOSED – Swansea: Hafan Books. French poems with English translations by Tom Cheesman and John Goodby. With two books published, Suhrab Sirat, is a writer, poet and civil society activist. He was born and grew up in northern Balkh Province of Afghanistan in 1990 and moved to the UK in 2014. He has a Bachelor in Persian Literature from Balkh University and has extensive experience working with prominent media and civil organisations. He worked for BBC World Service, Bost News Agency and Mandegar Daily in Afghanistan. Suhrab Sirat is the first literature prize winner of the United Nation Assistance Mission in Afghanistan (UNAMA) for Women Rights 2009, and the first prize winner for Qand-e-Parsi, 2011, a prestigious literature organization in Persian speaking countries. He also composed lyrics for the first Afghan female rapper criticising patriarchy and extremism and promoted freedom and women’s rights. Kadija Sesay, also called Kadija George is a literary activist, short story writer and poet of Sierra Leonean descent, and the publisher and managing editor of the magazine Sable LitMag. Sesay’s first full collection of poems, entitled Irki, was published in 2013. 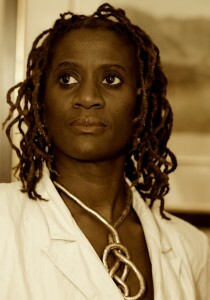 She is co-director of Peepal Tree Press’s writer development programme, Inscribe, alongside fellow poet Dorothea Smartt. Her work has earned her many awards and nominations. She is the General Secretary for African Writers Abroad (PEN) and organises the Writers’ HotSpot – trips for writers’ abroad where she teaches creative writing and journalism courses. does not possess a very fixed identity. 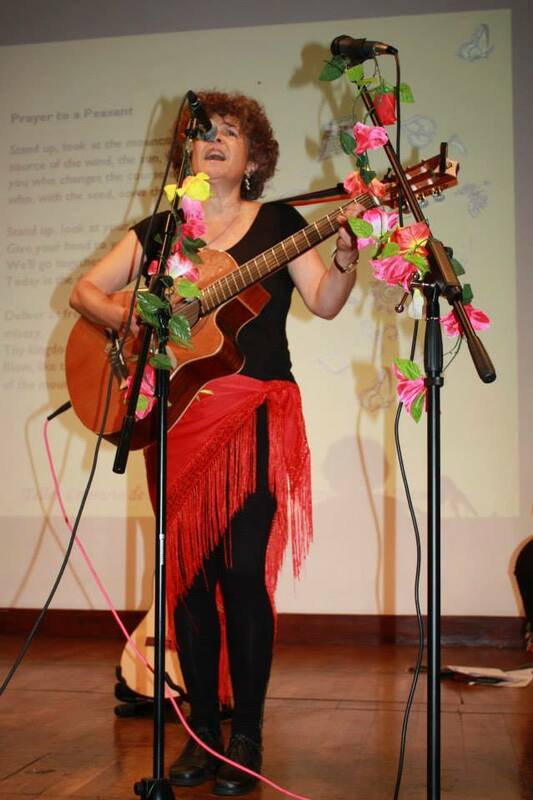 For this reason, and in spite of being part of two groups of poets and writers (Hispanic-American Women Literary Workshop and Spanish and Latin American Poets and Writers) she is sometimes a poet, and sometimes she identifies with other arts, trades and professions. What she is certain about is that she finds in poetry a path to process her experiences (together with laughter and tears), and to participate in the world. She also has a regular column in the electronic newspaper The Prisma, and she has been close to Exiled Writers Ink for some few years, both at the Poetry Cafe and co-facilitating workshops. From Mashhad, Iran, she won the silver medal in the national Literature Olympiad in 2000. After graduating in sociology from Tehran University, Fatemeh pursued post-graduate studies in London and Oxford where she taught Persian language and literature. In the 2009 post-election turmoil, Fatemeh and her family were targeted by the state for supporting the Green movement. Fatemeh was then forced into exile. She won the Jaleh Esfahani poetry award for the best young Persian poet in 2012. Her first book of poetry was published in 2013 under the title of ’88’. 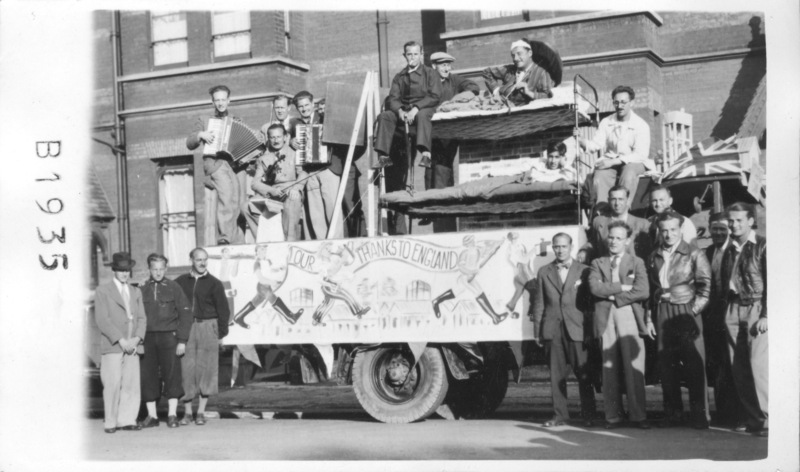 Refugees who escaped to England in the 1930s, thank England for accepting them. Anna Maria Mickiewicz is a Polish-born poet, writer and editor, who writes both in Polish and English. Anna lived in California and has now been in London for many years. She edits the annual literary magazine Pamiętnik Literacki (The Literary Notebook), London. Her first collection of verse was published in 1985 and her selection of short stories and essays Okruchy z Okrągłego Stołu (Breadcrumbs from the Round Table) appeared in 2000. Her volume of poetry Proscenium was published in 2010. 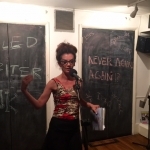 Anna’s poetry has appeared in the United States, UK, Australia and Poland in many literary journals and anthologies. Hasani is a writer from Zimbabwe who left his native country due to political strife. He writes poetry and short stories and advocates for recognition of human rights and justice in Zimbabwe. He currently lives in London. He is a member of the Freedom from Torture’s Write to Life a creative writing group based in London and is also a member of Exiled Writers Ink. 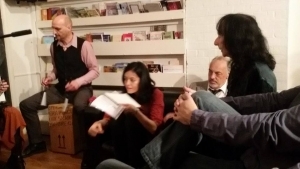 Explore poetry, stories and plays from Romani and Traveller authors who will discus their works and how they represent elements of their cultures and histories. 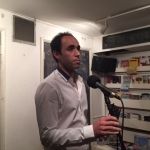 DamianLe Bas– British Romani poet, writer and journalist. After studying Theology at St Johns College Oxford, Damiam has published accademic essays and his poetry has featured in numerous literary magazines. Since 2011 he has edited Travellers’ Times, a long-running magazine and website for Britain’s Romani and Traveller people. Janna Eliot– Russian Armenian Romani poet, writer and translator. Author of Romani story collection ‘Spokes’ and author of children’s book ‘Settela’s Last Road’. Valdemar Kalinin– Belarusian Romani poet, writer and translator. He has written more than 36 books including a collection of poems called ‘romani dreams’ (2005), works and articles about Roma. In 2001 he completed the translation of the whole Bible in the Romany language (Baltic Romanes). Dan Allum– writer for theatre, radio and television. In 2014 his first screenplay won a Creative England film programme, he was part of BBC TV Writers Academy, and was lead consultant on the acclaimed E4 TV drama series GLUE (written by BAFTA Award Winner, Jack Thorne). & South Eastern Romani music from the fantastic band Le Gazhikane Muzikante whose new album will be on sale! The Misunderstood. Now more than ever. 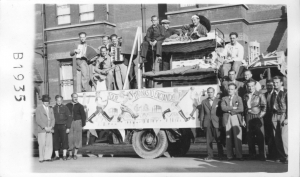 Is migration viewed positively by the poets and/or do they represent it as an existence inextricably linked to the past? This past may nurture or may haunt and threaten them unceasingly, for ever in pursuit of those who escaped. Fawzi Karim is one of the most compelling voices of the exiled generation of Iraqi writers. He has published more than fourteen books of poetry, including a two volume Collected Poems (2000), The Foundling Years (2003), The Last Gypsies (2005), Night of Abel Alaa (2008) and Plague Lands (Carcanet 2011). He is also the author of eight books of prose, including The Emperor’s Clothes: on Poetry (2000), Diary of The End of a Nightmare (2005), Gods the Companion: on music (2009). With his translator/poet Anthony Howell. Adrian Boyle is a traditional Irish musician from Bray in Co Wicklow. Reared in the culture of Irish music by his father, Adrian plays the flute, bodhran, accordion and various percussion instruments. A well respected session musician Adrian either composed or arranged all of the tracks on the CD Men Without Names. 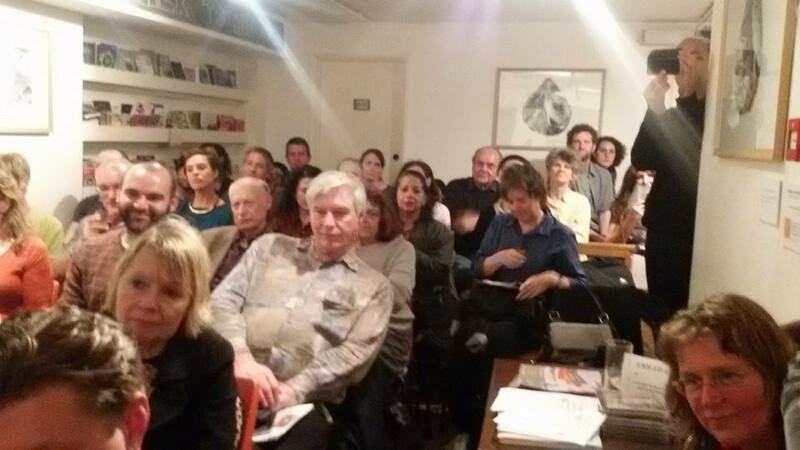 After the Paris massacre of journalists and French Jews, we focus on poets and writers who have spoken out against oppression and resisted attempts to silence them and have been victims of state fear of the power of the pen manifested in punishment including censorship, torture, imprisonment and death. Exile may have been writers’ sole means of survival. We also invite Jewish poets, prose writers and spoken word performers to use the power of the pen to express their reflections. Esmail Khoi, poet, is a major voice of the Iranian diaspora. In the 1960s and 70s he was opposed to the monarchical state in Iran advocating revolutionary change through his poetry. In the early 1980s as a leading member of the intellectual opposition to clerical rule, he spent almost two years in hiding before fleeing his homeland. He has emerged as an articulate chronicler of life in exile and a fierce defender of political freedoms and human rights the world over. He has published over thirty books in Persian. Selections in English translation include Edges of Poetry, Outlandia and Beyond the Horizon (2008) and the newly published Rubaiyyat of Esmail Khoi, translated by Lotfali Khonji. Khoi, an Exiled Writers Ink patron, is recipient of the Amnesty International Human Rights Award and of the German Coburg Ruckert-Preis for literature. 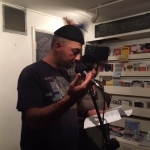 El Habib Louai is an Amazigh poet and translator from Taroudant, Morocco, and also a junior high school English teacher at Azzaytoun, Agadir. Hearticulates the Berber struggle and is active in various projects relating to poetry, spoken word and jazz music. He edited and translated an anthology of contemporary Moroccan poetry (Big Bridge Magazine). 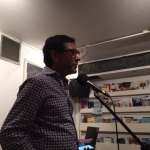 His poems have been published in various international literary magazines, anthologies, journals and reviews andhe has read his work in the UK and USA. His literary criticism has been published in various journals. Music: Hassan Bendouz and Lahoucine Moutaouakil are junior high school teachers who also write songs and play music. They focus on local Amazigh traditional music and countryside folklore of southern Morocco, mainly Tachlhit. They are inspired by Amazigh rhythms of Ahwash which they blend with Sufi, jazz and Gnawa music. They consider themselves to be committed artists aspiring to collaborate with international artists for a better world of peace, justice and equality.